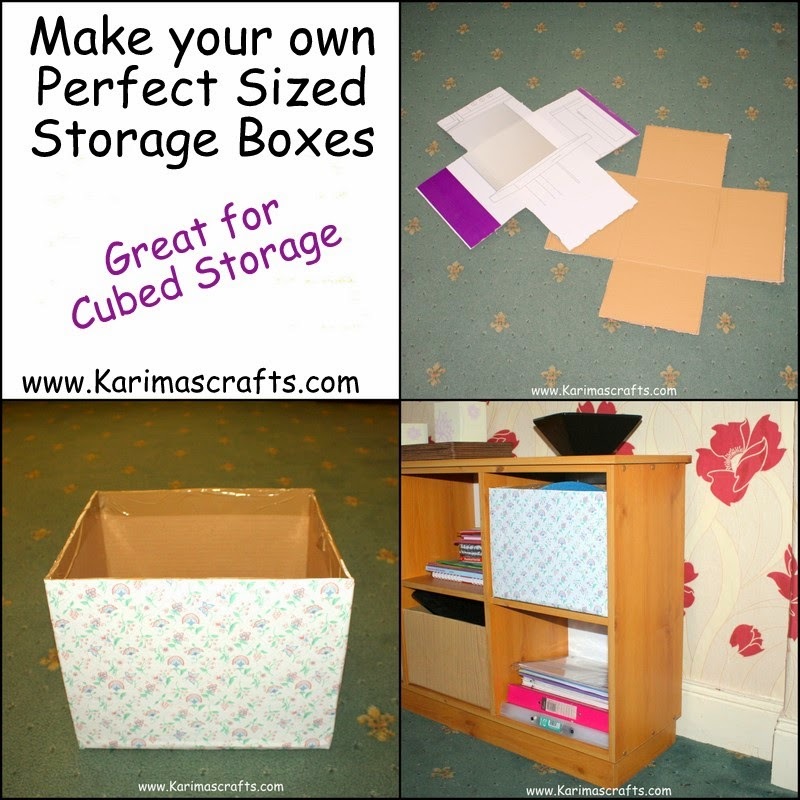 I had a cubed style storage unit which I really wanted to use with storage boxes. However I could not find any shop bought storage boxes to fit the size I needed. I kind of gave up looking until one day I had some large cardboard boxes left over from when we did some new work in the kitchen. I realised that I could make use of these extra large boxes and cut them down to size for the storage boxes I had so desperately wanted. There are probably easier or more secure ways to have made these boxes, however this is the way I used, you could modify it and make some extra flaps for security. I am really pleased with the boxes I made and it makes the Storage Unit look more tidy now! Measure the width, height, length of your cube shape. My box was not exactly square shape, it was a rectangle shape. Mark the measurements onto the cardboard using a ruler. Please remember to make the box a bit smaller so that it has room to fit into the space, so not to be too tight. I cut the finished shape into a cross style shape, making sure that the centre shape is the exact same shape as the bottom of your required box. Then make sure that you mark the correct height for each side of the box. Once you have you required shape, you then need to fold at the edges and then secure the sides together. I did this by using parcel tape and wrapping the whole box in tape. To decorate I used sticky backed plastic, one in a floral design and another in a wood finish design. You could glue fabric to the box or decorate in another way. Great idea! Am always needing storage! Great space saving practical idea and fits in with your own decor.